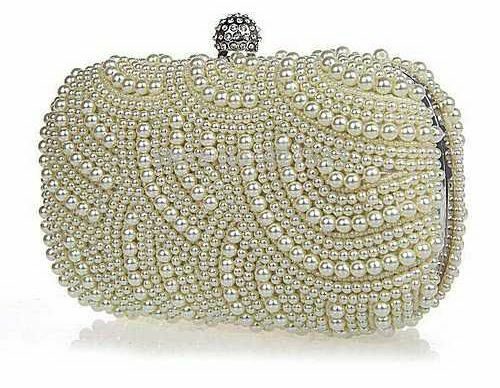 Classic pearl clutch bag, with swags of large ivory simulated pearls and smaller pearls on ivory satin fabric. Jewelled crystal clasp. Size is 17cm x 11cm x 5cm. Chain included.